Colorful, the Chinese graphics card manufacturer widely known for their iGame series are readying new modular cooling designs for the NVIDIA GeForce 800 series. Announced during a conference in mainland China, Colorful also showed off their new iGame logos which will be introduced when the new Maxwell generation of graphics cards hit the market in Q3 2014. While Colorful as a brand is limited to APAC region, they are still widely renowned for their products in the entire market with creation such as the iGame GTX 780 Ti Kudan, iGame GTX 780 Fire Warrior, iGame GTX Titan Liquid Cooled, iGame GTX 680 Kudan and iGame GTX 660 Ti Ice Knight. All these graphics card are known for the badass and amazing design schemes on the cooling and PCB which allow extreme levels of overclocking and modding to enthusiasts and overclockers. Colorful has an entire portfolio of graphics card series for NVIDIA while their sister brand known as Colorfire make customized AMD Radeon graphics cards covering the entire graphics market in the region. In June 2014, Colorful did establish an overseas partnership with Newegg which has gone under effect and the US based online retailer widely selling PC hardware have now started to offer Colorful manufactured graphics cards. The Colorful GeForce series has three tiers under the iGame brand, Kudan (Enthusiast), Ice Knight (Overclocking) and Fire Warrior (High-End). All these graphics cards offer a shot of their own with beastly designs, customized boards and additional PWM add-in cards on some products. Over at the event, Colorful mentioned that they are ready with a new Colorful iGame logo for a new era of graphics cards and they are already putting custom ideas in the thoughts. While the GeForce 600 series and 700 series cards make use of the previous iGame branding, the new cards will use new logos for the GeForce 800 series which means that the recently released GeForce GTX 750 Ti and GeForce GTX 750 will be the last cards to make use of the current branding scheme from Colorful. In addition to this, Colorful is also revamping their cooling designs and will start offering new modular coolers and more customized products with the beginning of Maxwell generation of cards which are expected to hit in Q3 of 2014. 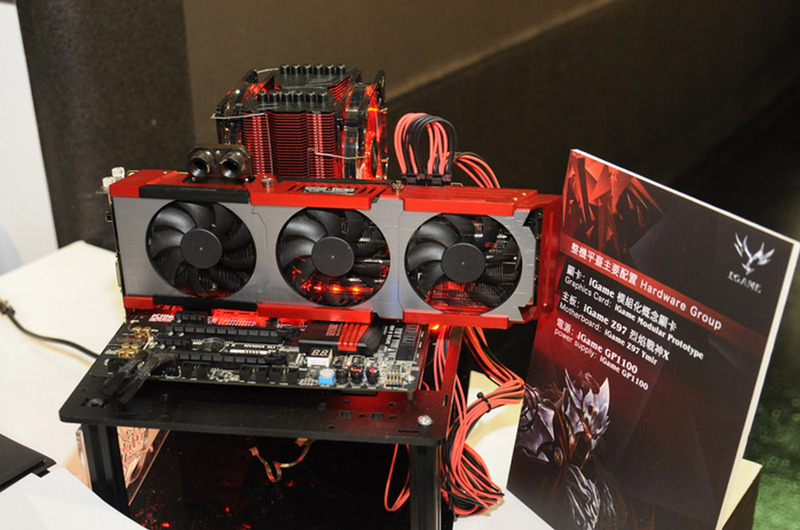 Colorful already has several modular concept designs on display and with the latest offerings from ASUS and other GPU companies, modular and hybrid cooling seems to be the way to heat the massive next generation GPU based cards. The hybrid and modular designs do have an advantage that they let users take either advantage off liquid cooling, air cooling or both so that they get maximum cooling potential. 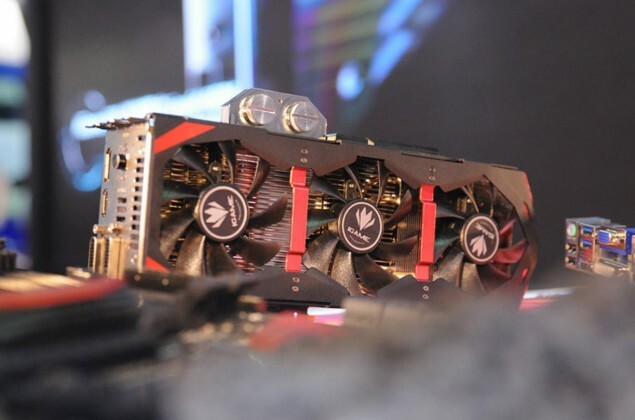 The design has already been seen on GeForce cards and worked well on AMD’s Radeon R9 295X2. It would be great to see what Colorful churns up with their design scheme with the GeForce 800 series cards. On a side note, the GeForce Maxwell details, specifically regarding the GM204 GPU are already starting to show up in the form of several rumors and reports. The flagship product is said to hit the market in Q3 2014 followed by other variants in Q4 2014 and Q1 2015. Details regarding the SKUs were reported yesterday which tells that the GeForce 800 series is rumored to include four GM204 GPU based SKUs which will end up as the GeForce GTX 880, GeForce GTX 870 and GeForce GTX 860. There’s alot going on over at NVIDIA which we don’t know of at the moment. The only thing we currently know regarding second generation Maxwell is the PCB shot which was leaked a last week and even details regarding that are still not fully revealed. Its best to wait for a bit more time until details on the GeForce GTX 880 start to pop out since only then we could make a more comprehensive analysis of the GeForce Maxwell architecture and the GPUs beyond it. Do tell us if we missed out anything in the Disqus comments section below! Price $499 US $499 US $499 US $499 US $699 US $499 US?